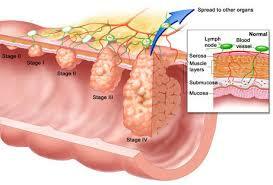 Does Avastin plus chemotherapy improve outcomes in patients with early-stage colon cancer? These types of questions are difficult to answer because the answer depends on what you're measuring as your main outcome. Survival? Disease-free progression? Quality of life? The world of oncology is a complex one with many different measurable outcomes. The National Surgical Adjuvant Breast and Bowel Project (NSABP) C-08 study did not meet its primary endpoint (which was improved disease-free survival or DFS) with adjuvant use of bevacizumab (Avastin) plus chemotherapy in patients with early-stage colon cancer. Avastin (or bevacizumab) is made by Genentech, Inc. (which is to be acquired by Roche). Who can keep up with all these mergers and acquisitions in the pharma/biotech world?